After the stores have closed, cycle-rickshaw wallahs, who have spent their day ferrying passengers in three-wheeled man-powered cycles for extremely low wages, find a place to prepare dinner and sleep in Chandigarh, India’s abandoned plazas and emptied parking lots. They unpack cooking supplies and bedding from concealed locations like high ledges or indiscriminate plywood boxes secured to fences. Some store their belongings in crates tied to tree branches. Yet by 10 a.m. the following day, when the parking lots of these commercial districts begin to fill, the rickshaw wallahs have already begun vacating the area. They’ve packed and concealed their belongings, leaving few visible signs of their presence. Chandigarh, a capital city in northwestern India, is known around the world by architects and urban planners as the most extensive built example of the urban planning ideals of Le Corbusier. Although Chandigarh behaves like any city, emptying and filling daily with converging populations, it also exemplifies the systemic patterns by which communities remain blind to one another. A rickshaw wallah is rarely seen asleep, and because of this, the problem of his homelessness is somehow less real to the city’s public, which vacates these areas at night. As residents move through Le Corbusier’s “The City Beautiful,” a modernist utopia planned in the 1950s, they are either transported or trailed by a community of people who are largely invisible: the cycle-rickshaw wallah. The following images document my research of this community of rickshaw pullers and a subsequent collaborative signage project I developed with a local rickshaw union. My work attempted to understand the Chandigarh rickshaw wallahs by separating what they are from what they appear to be. They appear to be transient, but many have worked in the city for decades. 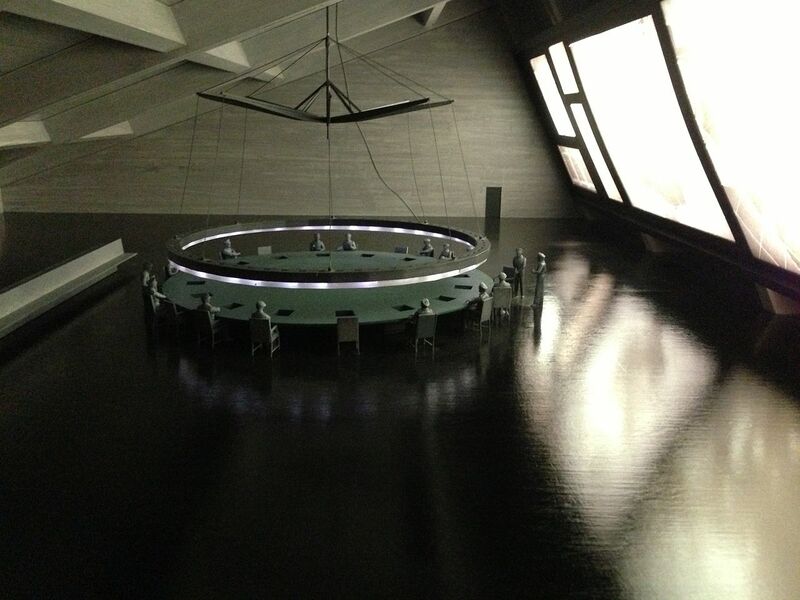 They appear to be disorganized but have structured, if unconventional, unions. They appear to casually break traffic laws but must contend with confusing and out-of-touch policies. By identifying this separation, my goal as a designer and student of architecture was to understand how Chandigarh’s urban design is implicated in this process, how the design of a city might distort appearances. Andrés Jaque in conversation with Patrick Joseph Craine and Rodrigo Valenzuela Jerez. 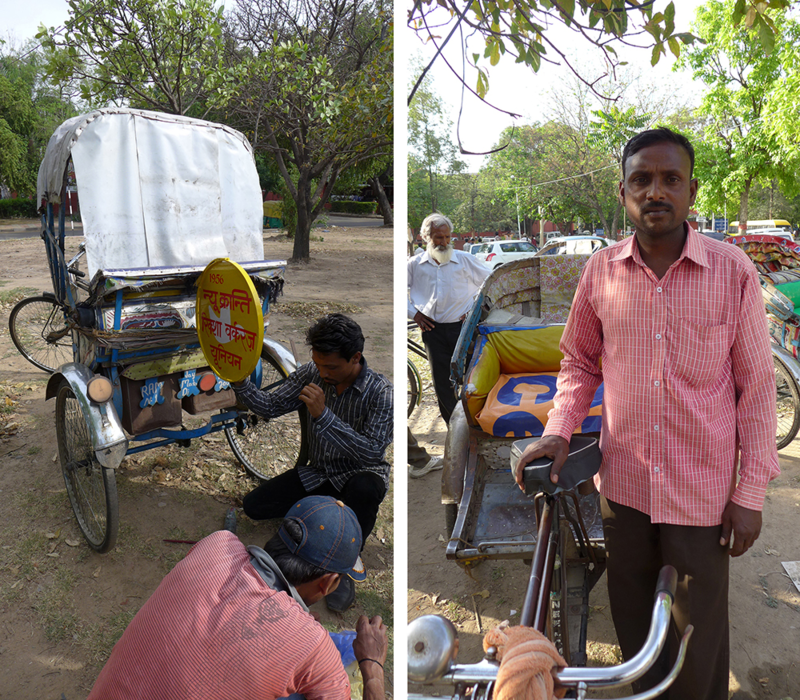 the appearance of the rickshaw puller in Chandigarh. What is his name? Where does he come from? How long has he been working? How far has he come? In open spaces within the cities, rickshaw pullers find places to park their rickshaws and store personal belongings and cooking supplies. This photograph was taken in the early morning, before the rickshaw wallahs concealed their belongings and left for work. All photos and drawings courtesy of the author. (left) Chandigarh’s singular architectural style has created omnipresent architectural details. The ledge located above the columns at left has become a handy place for immigrant workers to hide their bedding. 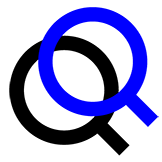 During the day it is out of view, and when the market closes, it is only an arm’s reach away. 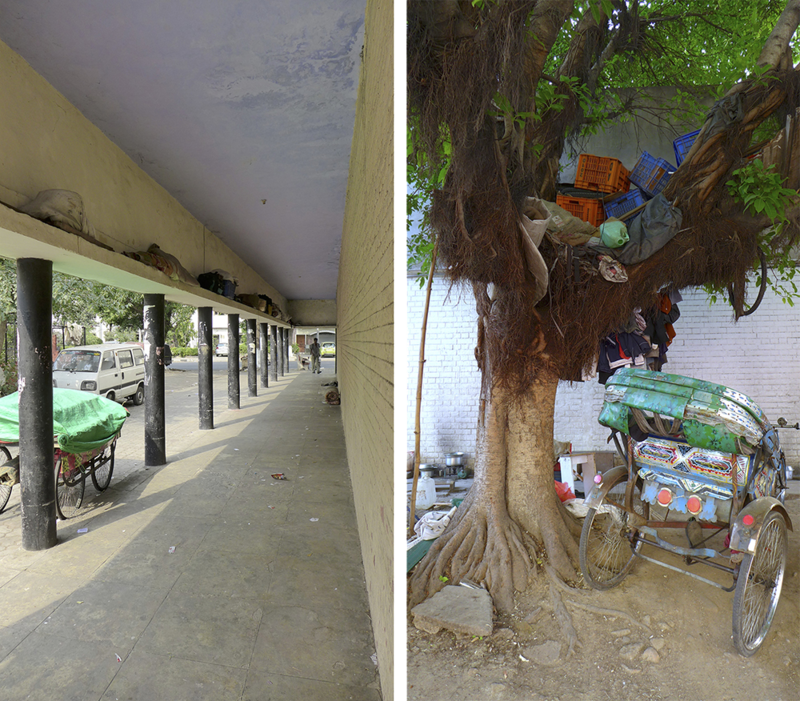 (right) Chandigarh’s wealth of trees has afforded the city many things, including storage for the belongings of homeless residents. (left) Signs were partially painted on-site in Sector 17. The nine members of the New Kranti Rickshaw Workers Union decided what details to display on one side. The name of the union and the founding year were displayed on the opposite side. (right) Portrait of Shravan Kumar, a cycle-rickshaw puller since 1995. 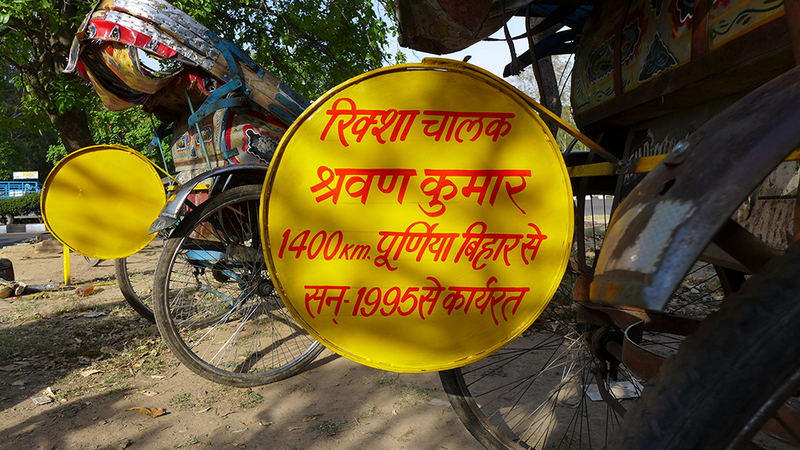 Lateral elevation of a cycle-rickshaw cart showing detachable sign. Photograph of Shravan Kumar’s detachable sign. Translation of Shravan Kumar’s detachable sign. John Buonocore is a designer, carpenter, and prospective architect. As an undergraduate architecture student at Columbia College, Buonocore became interested in the ways architecture can be used as a tool for public advocacy. 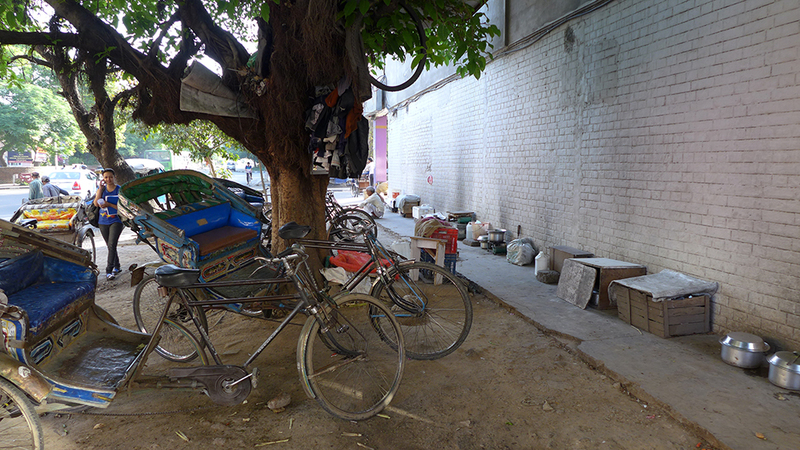 After graduation, he was awarded the Percival and Naomi Goodman Fellowship to research homeless populations in Chandigarh, India, and exhibited “Pulling People: Chandigarh’s Working Homeless” at The Tunnel Gallery, Barnard College.